Donkey Kong Forum’s previous top-record for Mitchell was #20 with 1.062 million points. Now, however, his highest is #47 at 933,900 points. 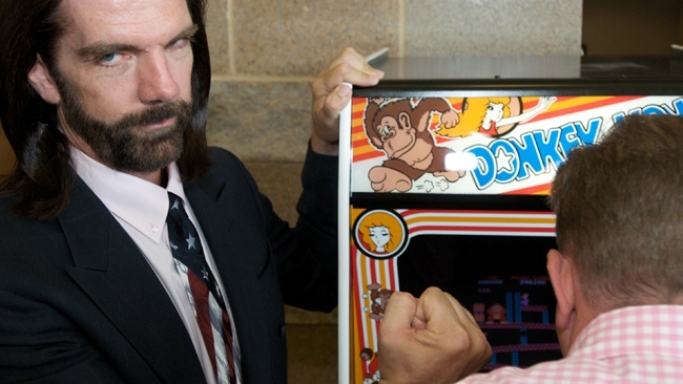 This is the highest mark recorded in public, in which he played on an arcade machine in 2004. One major issue here is that Mitchell’s scores tend to be tied to a witness known by Todd Rogers. Unfortunately, Rogers has also found himself in hot water after scorekeeping website Twin Galaxies said this week that it will remove all of his records. Twin Galaxies has determined that Rogers’ submitted score of 5.51 seconds in the Atari game Dragster cannot be achieved. There’s a lot more about the situation here. GamesBeat also tries to make sense of the evidence presented against Mitchell here.